From 01.01.2019 all network providers are obliged to determine and verify the identity of all customers using prepaid SIM services ('Pay-As-You-Go' tariff plans). Do your registration here quickly and easily. For further information please refer to our FAQs. Please enter the phone number of your SIM card you are using or you want to use from now on. Please enter the phone number of an already registered SIM card which you want to transfer to another person. The reason is that there has been a change to the Austrian Telecommunications Act (TKG 2003). When do cards start having to be registered? From 01/01/2019, prepaid SIM cards must be registered before they can be activated. Do you already have an active prepaid SIM card? In this case, legal registration is required by 01/09/2019 at the latest, otherwise we will not be allowed to top it up for you any more. It is easy to register your card online. Where can I register my card? I already have an active prepaid card, do I have to register that as well? Yes, you must register any existing active prepaid SIM cards as well by 01/09/2019 at the latest, otherwise they can no longer be topped up. Do I have to register the SIM card as soon as I buy it, or how much time do I have? The SIM card does not have to be registered when you buy it. The card can be registered separately from the purchase but it has to be done before the SIM card can be activated. If the SIM card has not been activated, no mobile communication services can be used. Why do I have to identify myself when I register online? Since we do not meet you in person, we have an extra duty of care. We are obliged to confirm your identity before you can register online. Soon you will find a description of the available options here. Can I register online using my new SIM card straightaway, e.g. using my smartphone or tablet? Yes, you can register your prepaid SIM card online straightaway using your smartphone or tablet. How long does it take for the SIM card to be authorised after it has been registered? In principle it should be authorised as soon as it has been registered online. How do I cancel a card registration? Please contact your customer service team to cancel registration of your prepaid SIM card. Which ID documents are accepted for identification purposes when registering a prepaid SIM card? You need a valid official photo ID. Do I need to have an ID card with me when I buy a prepaid SIM card? From 01/01/2019, it would be a good idea to have an ID card with you when you buy a prepaid SIM card. I already have a contract with A1. Can I refer to that when I register? That is possible for users of B.free prepaid cards. Naturally, we will handle your data very carefully and properly in accordance with the terms of the EU-GDPR legislation. 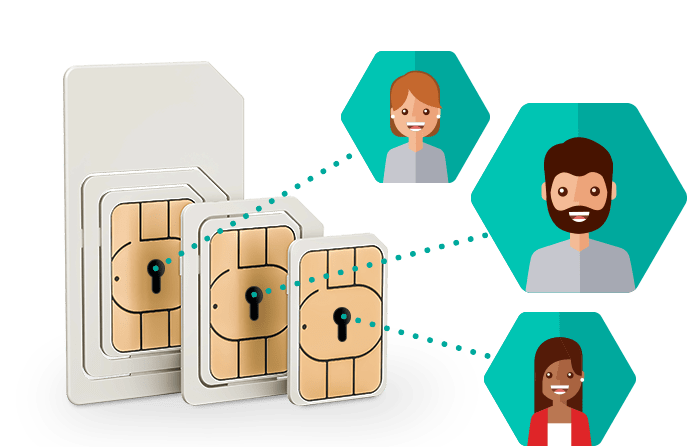 Can I give my registered SIM card to someone else? Yes, you can pass on or transfer a prepaid SIM card registered in your name to another user. In this case, the card has to be registered in the name of the new user, i.e. the card needs to be transferred. The transfer to a new user can be done online or anywhere else where it is possible to register. Which mobile communications services can I use if I have not registered? If you don't register your prepaid SIM card, you will not be able to use any mobile communications services (except emergency calls). Can I make emergency calls using a non-registered prepaid SIM card? Yes, emergency calls are possible even from a non-registered prepaid SIM card. Do I have to register in order to be able to use any initial credit and/or free minutes/texts? Yes, any initial credit will only be available once your prepaid SIM card has been activated. In order to activate a prepaid SIM card, you must first register it. What do I do if I lost my mobile phone with the prepaid card in it, or if it was stolen? Can someone else register for me? Your card can also be registered by a person authorised to do so in writing. That written authorisation has to be presented, the authorised person has to identify themselves and present a copy of the ID belonging to the person who authorised them. Can I register a prepaid card in the name of a company? Prepaid cards can only be registered in the name of natural persons. 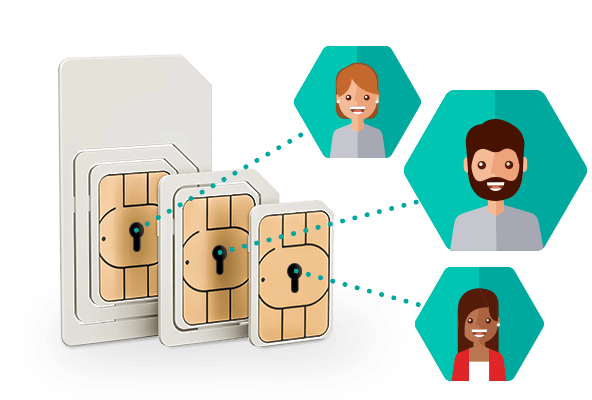 Can I register a non-registered SIM card for a postpaid contract? Can prepaid SIM cards also be registered for children? Prepaid SIM cards can be registered for children aged 7 years or older but only children aged 14 or older have to accept the guidelines of the General Data Protection Regulation. Can I use roaming abroad with a non-registered SIM card? Unfortunately roaming cannot be used. Can I register a non-registered SIM card abroad? Unfortunately it is not possible to register a prepaid SIM card abroad.